It’s that time again, time for the Seventh Annual Festival of the Bonfires – Tour de St. James, better known as the Bonfire Ride. The ride has two routes, one at 57 miles and another at 14 miles. Both routes pass on the river road where you will have a great view of the bonfires that are under construction at that time. 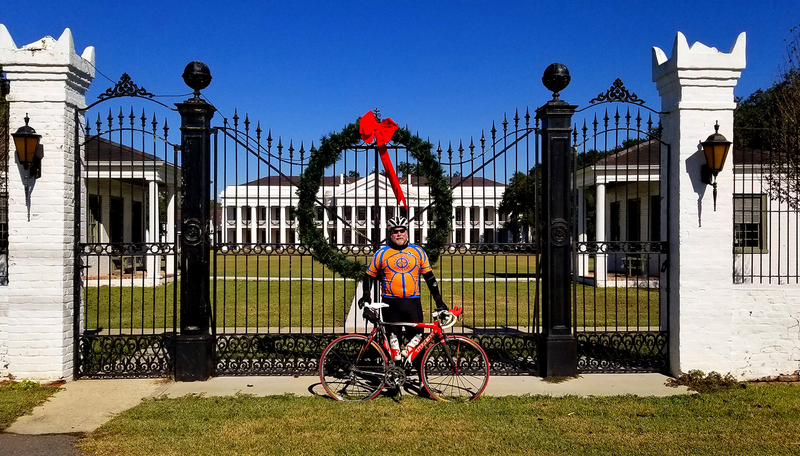 This year’s long route will also feature two Mississippi River bridge crossings and several plantations, including the world famous Oak Alley Plantation. The rides start and end at the Festival of the Bonfires in Lutcher, Louisiana. 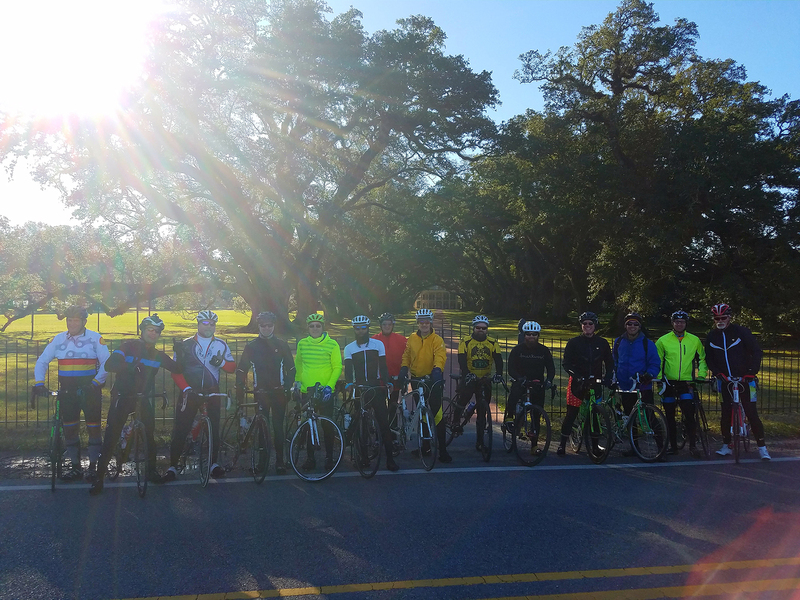 The ride will start at 8:00 AM at the Entrance of the Festival and Our Lady of Prompt Succor Chapel on Louisiana Avenue. Plent parking is avaliable in thea area at the church, a grass lot, and a short walk south of the chruch. Please arrive early and check in and receve your ticket to enter the festival when you are finished riding. A few important notes; this ride is NOT fully supported. The routes pass a number of convience stores where you can get nearly anything you may need. We will have a SAG vehicle to assist when necessary. The bridge crossing will have police support. All riders must wear a helmet and follow all laws pretaining to cyclsit. We thank you for your cooperation. Entry fee for the ride is $15 and will include admision to the festival after the ride. This particular day at the festival inclues a car show, amazing food, and music. We look forward to seeing you all out there for this great ride on December 16th and hope you enjoy the festival afterwards! 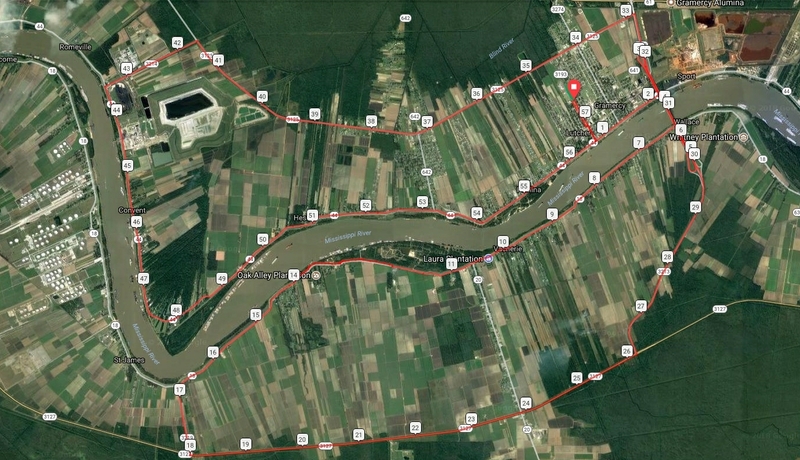 The 57 mile route will provide great views of the bonfires that are under construction on the levee. This route also crosses the Mississippi River twice by way of the Veterans Memoral Bridge. 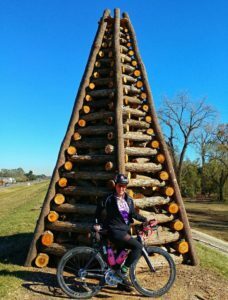 Not only will you see the Bonfires and cross the river but you will get to see Laura Plantation, Felicity Plantation, St. Jospeh Plantation and the world famous Oak Ally Plantation. Once you return to the east bank of the river, you will pass though some of the town and on to fields of Sugar Cane being harvested. The trun turn trip on River Road will include Poche Plantation, St. Michaels Church, Manresa House of Retreats, St. Joseph Church and more Bonfires. It is really a great ride that I am sure you will enjoy. The 14 mile route will stay on the east bank of the river. This ride is intended for those that what to see the bonfires and some of the local area without the long miles and river crossings. 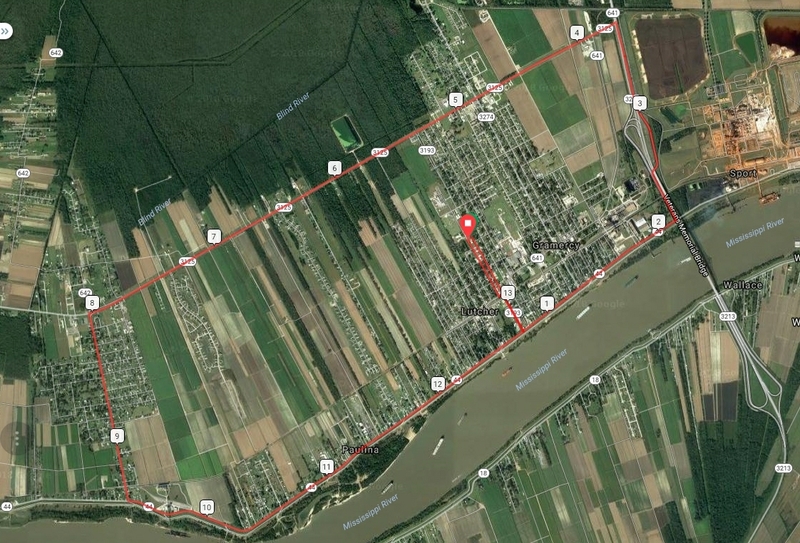 This will give you a view of the sourounding community including St. Joseph Church and some of the beautiful homes along River Road.